Agriculture is responsible for 14% of Australia's greenhouse gas emissions and is the dominant source of methane and nitrous oxide, accounting for 56% and 73%, respectively, of Australia’s emissions. Managing manure to reduce emissions can be economically viable for larger enterprises or cooperative facilities that use the captured methane to generate heat and electricity. For small operators, the offset value alone is unlikely to warrant the large capital cost of infrastructure. Livestock urine and manure are significant sources of methane and nitrous oxide when broken down under anaerobic conditions. Nitrous oxide is produced during the nitrification–denitrification of the nitrogen contained in livestock waste. Anaerobic conditions often occur where manure is stored in large piles or settlement ponds to deal with waste from large numbers of animals managed in a confined area (for example, dairy farms, beef feedlots, piggeries and poultry farms). Methane has 25 times and nitrous oxide has nearly 300 times the global warming potential of carbon dioxide. Ruminants excrete 75–95% of the nitrogen they ingest. Ruminants on lush spring pasture commonly ingest protein (containing nitrogen) in excess of their requirements but are usually energy limited, resulting in higher ruminal ammonia concentrations being excreted in the urine as urea. Nitrous oxide emissions from ruminants can be minimised by balancing the protein-to-energy ratios in their diets. One study reports that dairy cows on a 'high sugar' variety of perennial ryegrass excreted 18% less nitrogen in total and 29% less urinary nitrogen. balancing high protein forages with high-energy supplements. adding urease inhibitors to manure stockpiles can reduce nitrous oxide emissions; urease inhibitors are chemical additives that stop or reduce the rate that urea (found in animal urine and manure) is converted to nitrous oxide. Livestock industries have shown increased interest in biogas (methane) capture-and-use systems, such as covered ponds and the flaring or combustion of the captured biogas to provide heat or power. These systems are common in Europe but not in Australia, and may be profitable, regardless of offset income, because of the energy production and the trading of renewable energy certificates. Australian Pork Ltd has released a biogas code of practice: 'On-farm biogas production and use (piggeries) for Australian producers'. 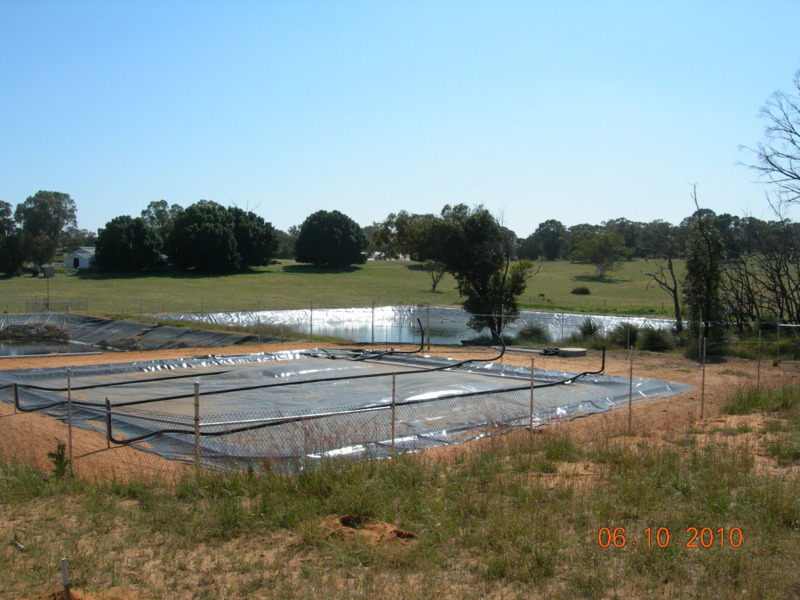 The code is focused on covered effluent ponds for the pork industry and provides a basis for appropriate and uniform standards across Australia to improve the standard of installations. There are approved methodologies for managing manure in piggeries and dairies.